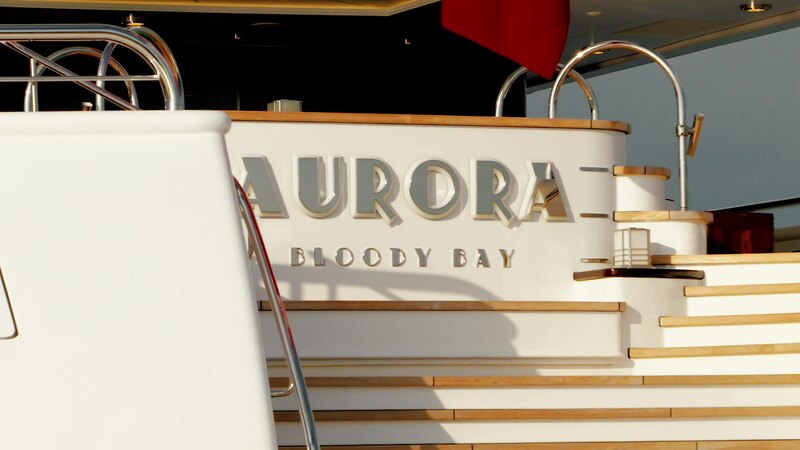 Aurora: The 74-meter luxury yacht Aurora was delivered in 2017. Her striking exterior and distinctive interior are both the work of the Winch Design team. With rich mahogany and stainless steel exterior furnishings, she reflects the romance of luxury travel on transatlantic liners. Each deck was carefully planned to include family spaces. Classic features combined with innovative details such as a large portlight in the main staircase and custom, state-of-the-art lighting across each deck give her authentic charm. Her interior is based on the Art Deco style of the 1920s, drawing inspiration from influential artists and designers of that era.